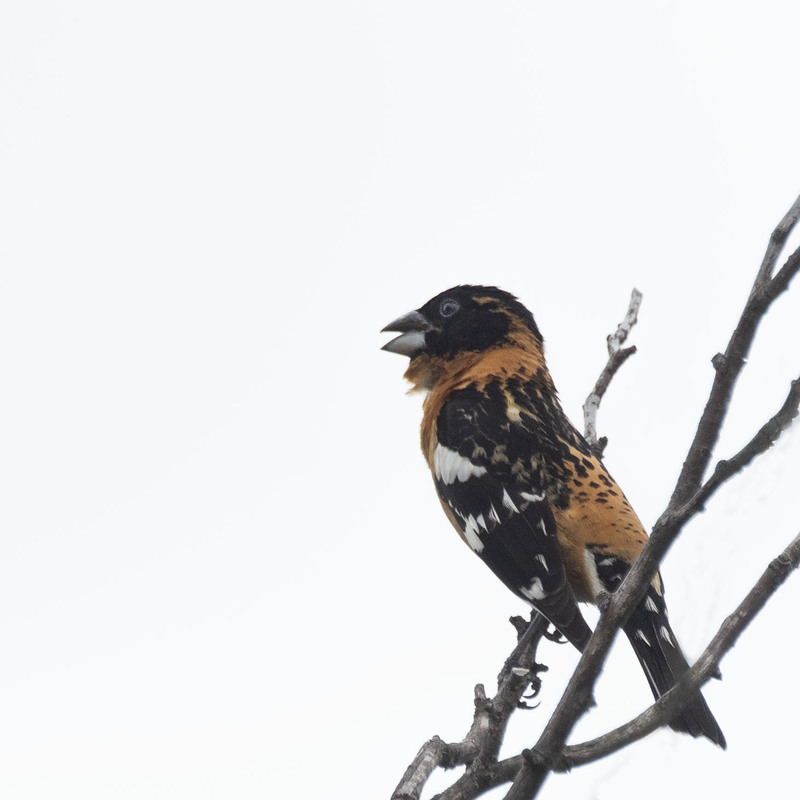 A Black Headed Grosbeak calls form atop a tree on a cloudy afternoon. …and his song is such a sweet melody. One of my favorite American birds. Lovely visit from the black-headed grosbeak, Mike, thank you. Your welcome Jet, we only seem to have a few around each summer so when we come across one singing it really is a nice treat. He was a good looking guy and singing his heart out.